A product perfect for everybody who values natural looks and practical use - ColourVue Glow Grey contacts look fantastic with any make up color and can be worn every day. 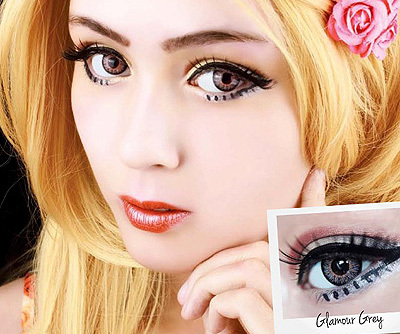 Thanks to their quite universal color, ColourVue Glamour Grey contacts can be worn with any make-up and regardless of the occasion. In fact, you can wear them every day as they are very comfortable thanks to a special color blending technology and a fact that they are available in prescription. They will not only give your eyes a pretty grey color but also make them look bigger thanks to enlarged diameter and black outer ring.